Join An Industry That Continues To Grow At A Rate Of 13% Every Year. Sign Biz, Inc. was founded 22 years ago as an authentic new business development company in the dynamic field of computer-aided signmaking (CAS). Sign Biz is now the largest and fastest growing worldwide chain of CAS businesses in which the owners pay no royalties. This has created a unique "network" nearly 200-strong offering products and services to other businesses! Innovators since 1989, we now feature the nation's first "video sign" program for small businesses with our LobbyPOP division. This is inclusive in the Sign Biz package. We have also recently launched an EcoSignage Division. We back up our claims with facts. The Sign Biz Network has triple the percentage of million-dollar operations among its members as that found in any other sign chain, franchised or otherwise. Sign Biz stores are known for a high level of customer service and a complete line of visual communication products. One out of every four stores in operation for at least one full year in the Sign Biz network has annual sales of $500,000 or greater, and one out of every 10 has annual sales of $1,000,000 or more! We build only full-service, retail business sign companies. These are not home-based or part-time enterprises. The Sign Biz start-up equipment and inventory package is the most complete in the industry. 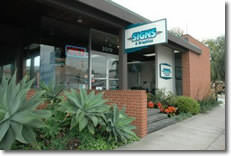 A four-week training program and two years of business coaching are included in the on-going services and support from Sign Biz, Inc.
New owners can count on a complete logo development and identity program, personal training, and multiple continuing education programs each year, among other benefits, for the life of their business. 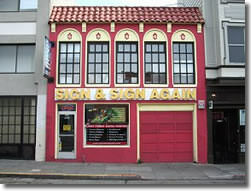 This turnkey Sign Biz sign store package is $145,000. No other sign chain or franchise offers more. We offer a complete turnkey sign business package including maximized equipment, protected territory, a four-week training program, Yellow Page ad, logo design, complete business plan with SBA loan consulting, site selection and lease negotiation assistance, active private network website and broadcast news intranet, live-person, toll-free support every working day of the year, three annual symposiums, web site development, personal coaching for two years from a premier industry consultant, a Professional's Choice website for sign buyers, the ReadMe.File technical bulletin, digital printing hardware and software, complete documentation of all business operations, 750 preferred vendors, a Network Advisory Board comprised of mentoring Network Members, and so much more. "The training provided by Sign Biz helped to launch my currently successful and profitable sign company. The one-on-one hands-on training prepared me for the real world. Being a Sign Biz network member has given me an extended family of resources while the 'monthly royalties' go into MY POCKET." We provide prospective owners with virtually unlimited information to assist you in your search for the best business for you. After all, as one magazine writer puts it, "The more time someone spends doing their due diligence, the more likely they are to choose Sign Biz Inc. as their partner." Sign Biz businesses choose their own name and save tens of thousands of dollars every year by doing so. 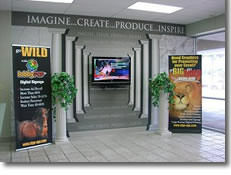 Each store reflects not only the high standards of the Sign Biz cabinetry suppliers, build-out requirements, architecturally designed and customer- preferred open layouts, but each also allows room for the owners' own vision, logo design and business style, customizations that are frowned upon, or forbidden, in franchise chains. Here is a profound bit of information that benefits our business owners: The top US buyers of signs are not choosing their sign suppliers based on a name. No business is lost by not having a franchise name in this industry. A benchmark third-party market research study revealed this fact. As for who are the biggest buyers of signs and why they choose one sign company over another, only Sign Biz Inc. has the results of this groundbreaking vertical market study! Please note this opportunity is NOT accepting inquiries from outside the Uniteds States. Sign Biz is currently accepting inquiries from the following states: Wyoming, West Virginia, Wisconsin, Washington, Vermont, Virginia, Utah, Texas, Tennessee, South Dakota, South Carolina, Rhode Island, Pennsylvania, Oregon, Oklahoma, Ohio, New York, Nevada, New Mexico, New Jersey, New Hampshire, Nebraska, North Dakota, North Carolina, Montana, Mississippi, Missouri, Minnesota, Michigan, Maine, Maryland, Massachusetts, Louisiana, Kentucky, Kansas, Indiana, Illinois, Idaho, Iowa, Hawaii, Georgia, Florida, Delaware, Washington, D.C., Connecticut, Colorado, California, Arizona, Arkansas, Alabama, Alaska.